Again I get to gush about how I enjoy abstract games. Those themeless games like Go and Checkers that pit players against each other in an even match. Last week I found a new one that used a round board and adopted many of the same mechanics as Chess. Our latest abstract obsession comes from veteran game publisher, Breaking Games. 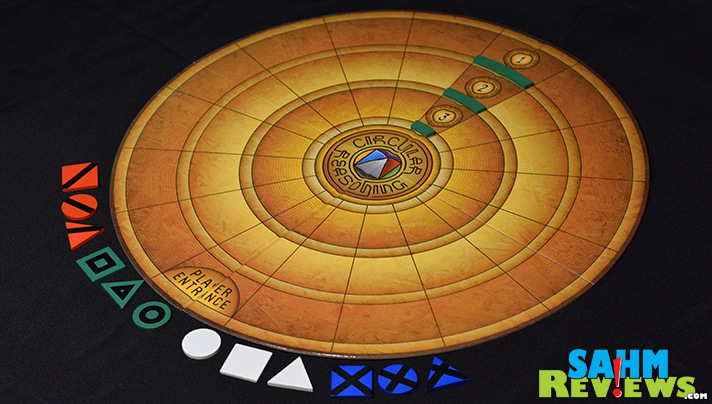 Just like Planetary Strike last week, Circular Reasoning sports a round game board. But that’s where the similarities end – this is a very different game. 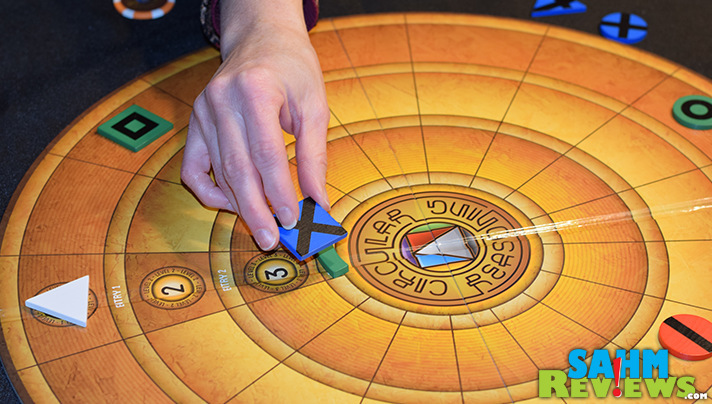 Supporting up to four players (best played with three or four), each player controls three wooden pieces they are trying to get to the center of the board. The first player to do so wins. And while it sounds simple, each move of every player affects your strategy. Your three playing pieces consist of one square, one triangle and one circle. The square can move four spaces in any direction, the triangle three and the circle is limited to two. 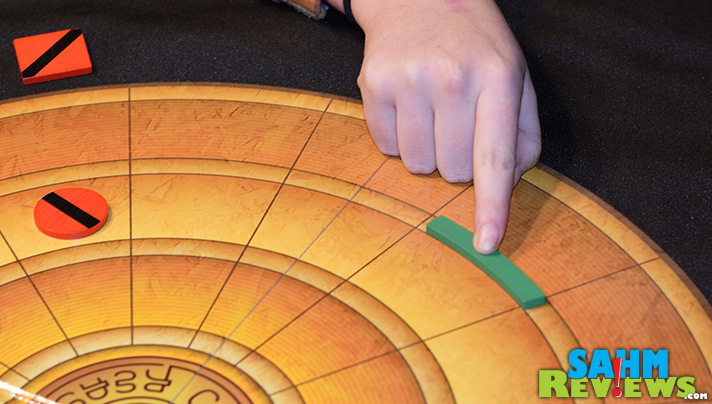 The board is made up of rings and you may move clockwise or counter-clockwise, but must move the full amount of your moves and not change direction. Each ring is ‘connected’ by moving wooden arcs that represent gateways. These doors move clockwise around the board according to how many wooden pieces are in the adjacent ring. For instance, if there are three pieces in the outermost ring, the first arc moves three spaces. This gateway is the only location you can cross to the next ring, whose wooden arc also moves in the same manner. As you can imagine, the more players the more likely the arcs will move (and farther). Your pieces also cannot jump over or land on the same space as another piece, so with more players there are more obstacles. 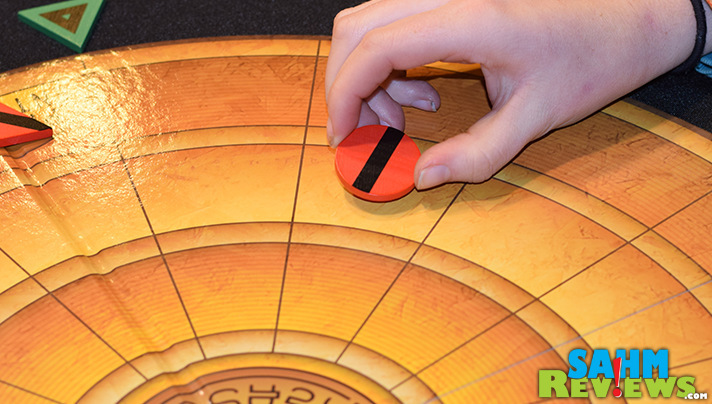 After each round of play (one turn per player), the gateways move, and then play is resumed in reverse order with the person going last beginning the next round. 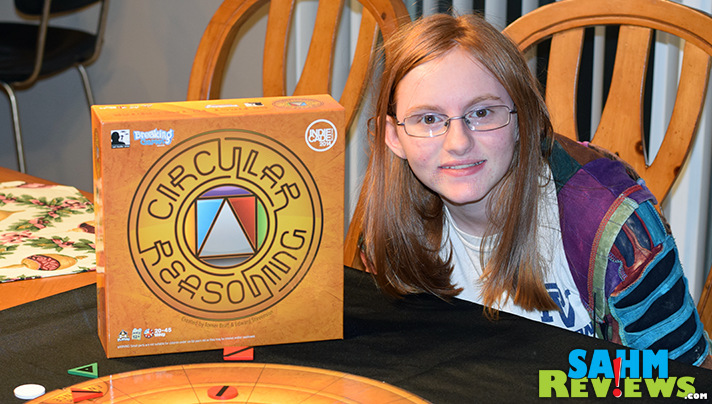 Depending on the skill level of the players, expect a game of Circular Reasoning to last anywhere from 15 minutes to over an hour. One could definitely get caught up in planning our their moves (as in Chess), only to have them foiled with a strategy that you didn’t consider. Maybe by now you have noticed the odd lines on some of the playing pieces? 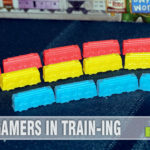 Breaking Games purposely designed them this way to accommodate their colorblind players – a very nice touch and one that many publishers overlook. Circular Reasoning is a very solid abstract title that retails for only $25. Breaking Games, the game division of Ad Magic, is well-known for a number of popular card-based games like Twirk and more recently the amazing Kickstarter success story – Exploding Kittens! Check out their Twitter feed or Facebook timeline to see if they’re going to be exhibiting at a convention near you! What a cool thinking game and the circular design is pretty awesome indeed. As someone whose ex was color blind, I definitely appreciate that feature with the markings! 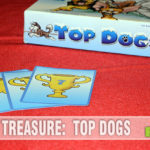 A incredibly fun and challenging game for all ages. HUH!!!! 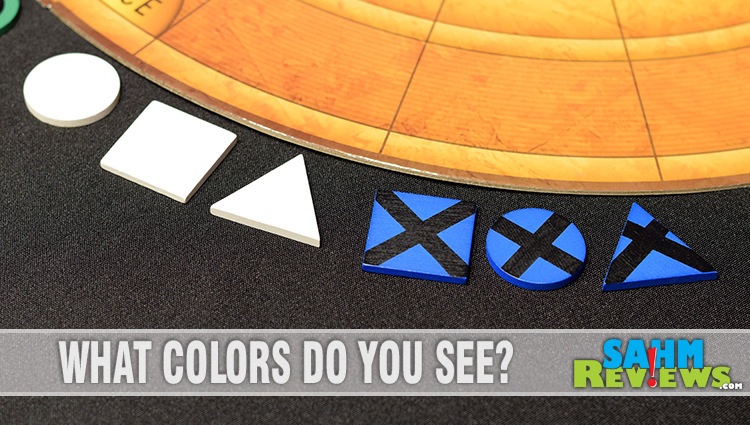 A game for color blind players. Now that is very unique. My sisters husband is color blind and has a heck of a time. I wonder if this would make him like playing games. Sounds like a really fun game! I like that the makers accommodate color blind players. That is pretty awesome! I don’t think I’ve ever seen a circular game board before. This game has me intrigued. It definitely does not sound easy but will sounds like it will make you think and think hard before making your next move. My oldest two would love this. 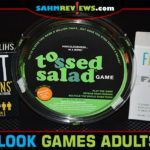 They love challenging games that get them thinking, I think even us adults would enjoy it too! 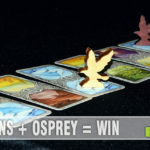 That looks like a very organized and logical game – right up my alley! Another chess-like game… SO up my brothers’ and hubby’s alley. Chess is not in my wheelhouse, but this board makes me want to try it out! I do love interest in the details. Looks like a really interesting game! I think my husband would love this one. It’s great that this publisher also thought on colourblind players. Just found out about this game. Thanks for your review! Thanks for sharing this wonderful piece of information about this particular board game.I love the idea,Thanks for this. I’m definitely gonna give this a try with my wife.